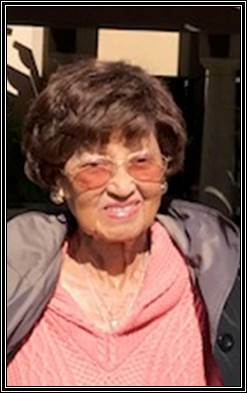 Etolia (Toby) Marie Roundtree Morrow, 96, passed away Friday, October 6, 2017 at The Summit in Mesa, Arizona. She was born to William Starling and Hazel Alice Roundtree on June 7, 1921. From 1921-1923 Etolia lived in Oakland City, IN. In 1929 the family moved to Princeton, IN where she made her home until 1939. Toby’s religious foundation was confirmed at Bethel A.M.E. Church, Princeton, IN. There she was baptized, committed to Christ and attended Bethel faithfully until 1938. She graduated from Lincoln High School, Princeton, IN, in 1938. She was married to William Sims Jr. in 1939 after which they moved to Muncie, Indiana. During her marriage to William, she attended and belonged to two local congregations. In 1949, Toby and sons reunited with Bethel A.M.E. Church Muncie, where she remained a loyal and faithful member until her passing. Over the years she served as a steward, finance committee member, class leader, welcoming committee member, and a dedicated usher. On June 19, 1949 Etolia married Eddie Morrow at Bethel A. M. E. Church, Richmond. They had a wonderful life together for 47 years. After working and being a homemaker, Toby realized her lifelong dream since 1938 and enrolled in Ball Memorial Hospital’s School of Practical Nursing. 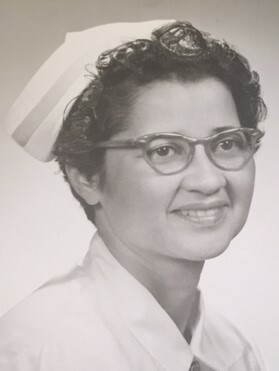 She served as a LPN at Ball Hospital for 23 years. She truly loved her patients and many referred to her as our ‘Florence Nightingale’. She retired from BMH on June 6, 1984. However; retired from life she wasn’t. Her retirement years have been filled with much fun and responsibility. She was a loving mother, grandmother, sister, aunt, cousin and friend to countless people. She has resided in Arizona for nearly five years living at Tuscany at McCormick Ranch where friends readily acknowledged the love and respect they had for her, and most recently at The Summit. She leaves to cherish her memory, one son, Michael S. Sims (Ann), San Tan Valley, AZ; two grandsons, Michael II (Trisha) Romeoville, IL and Marc Sims (Leigh Ann), Dublin, OH; two granddaughters, Maria Wilson, Muncie, IN, and Toya Williams, Seattle, WA; three great-granddaughters, Brianna Sims, Wheaton, IL, Sophia Sims and Josephine Sims, Dublin OH; two nephews, O.J. Roundtree (Michael), Alameda, CA, and Maurice Roundtree (Myrna), San Diego, CA; one niece, Ermalene Faulkner (Edgar), Muncie, IN; and a host of great-nieces, great-nephews, cousins, and friends. She was preceded in death by her husband, Eddie Morrow; a son, Karl D. Sims; one granddaughter, Karla Sims Jelks; two step-sons, James and Eddie Morrow; two brothers and their spouses, Ermal and Miriam Roundtree and Delmar and Verniece Roundtree; and a niece, Zenobia Faulkner. Services will be Saturday, October 14, 2017 at Bethel A.M.E. Church at 12:00 p.m. Calling hour will be 11:00 a.m.-12:00 p.m. at the church. In lieu of flowers, memorial contributions may be made to Bethel A.M.E. Church, 1020 E Jackson Street, Muncie, IN 47305 in her name. Funeral services entrusted to Faulkner Mortuary, 9l5 E. Willard Street, Muncie, IN 47302. May God keep you lifted up doing your time Spirit need. You are in my prayers. Although I did not have the opportunity to meet Mrs. Morrow, I felt like I knew her a little from the conversations & stories with her son Mike Sims and his wife Ann whom I met as neighbors at Encanterra County Club in San Tan Valley, AZ. I can see that she was a beautiful lady who can now be able to rest in peace. Sorry for the lost of your loved one, you will be in our prayers. Know that God doesn’t make mistakes, he just called another one of his angels home. 🌹🌷Much love from your friends at Encanterra. I am sorry for your loss. God promises at Revelations 21:4 that one day death will be no more. I hope this brings you and your family comfort at this difficult time.